Dying Light may have run into a little speed bump when it comes to actual, physical copies of the game reaching our shores, but it’s still available digitally around the world next week. The parkour centric horror certainly looks great, but one of its main draws is being able to bring friend along for the ride. Something we’re only getting to see in action now. 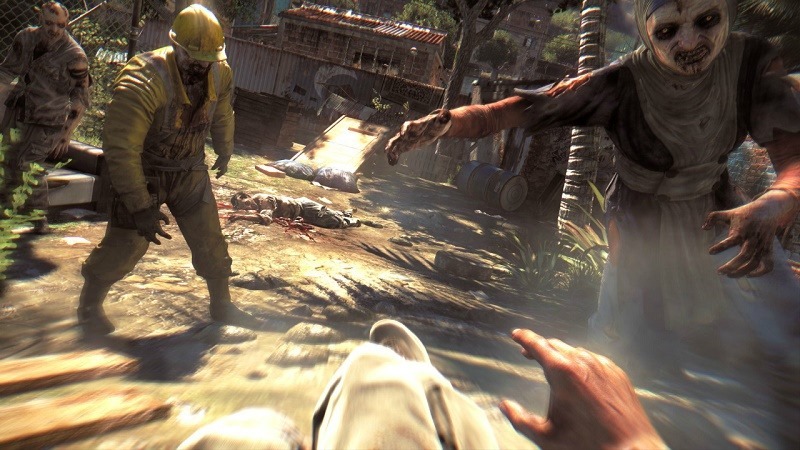 The whole of Dying Light’s campaign can be played with up to three other friends, but it’s the unique competitive challenges that are really entertaining. A group of developers over at Techland played a few scenarios out in co-op, to show how tactical (or plain ridiculous) things can get when everyone is smashing zombie heads. I particularly like the small, fun challenges that the game injects between more serious story missions. It cuts the tension, but having to compete for kills when weapon durability is an issue (not to mention health) is just silly fun. And it looks like the guys are having tons of it, especially when playing some explosive football with a gas canister. Of course, Dying Light is fully functional as a standalone experience as well, so don’t be too worried about group friends together online if you’re more like me and like to game forever alone. That way no one will hear my high-pitched screams when the sun goes down and the games real nightmares come out. I think it’s better that way.